How tall would it be in pennies?? 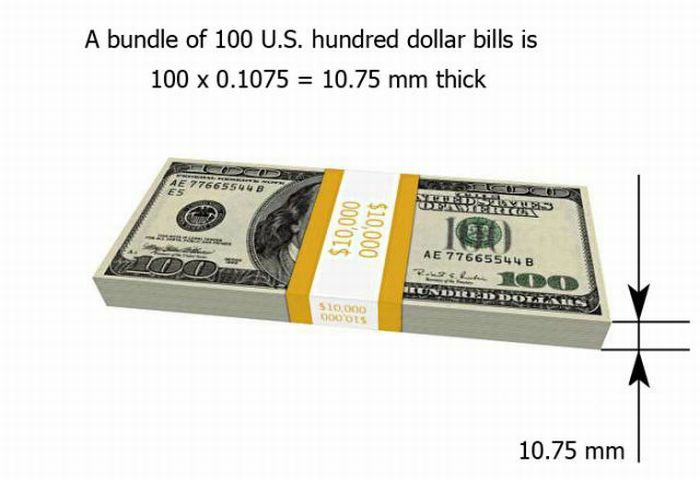 that's assuming we could ever find that many 100 dollar bills! THAT'S the problem! raymond.wendt, we print, them of course! 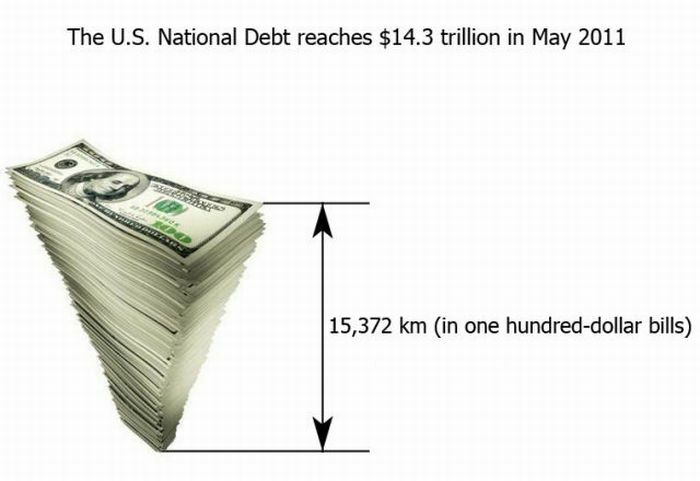 Just raise the debt higher to cover the new bills! 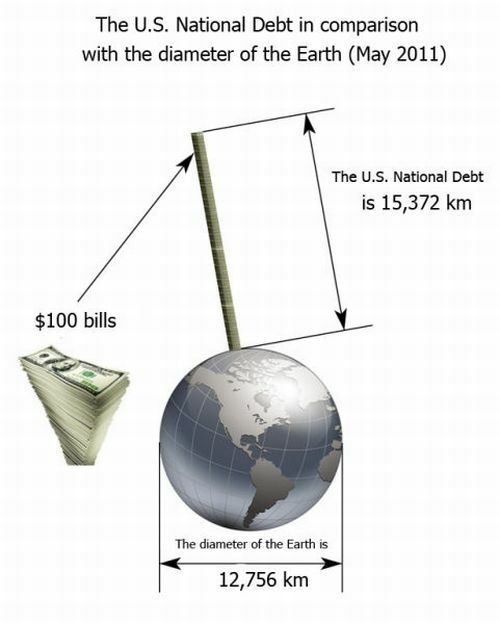 Yeah, but pallets of $100 bills stacked into a square only makes the US national debt one cubed mile. Shredded and compacted will only be about 1/2 a cubic mile. A strap of 100's is only that thick if brand spankin' new. 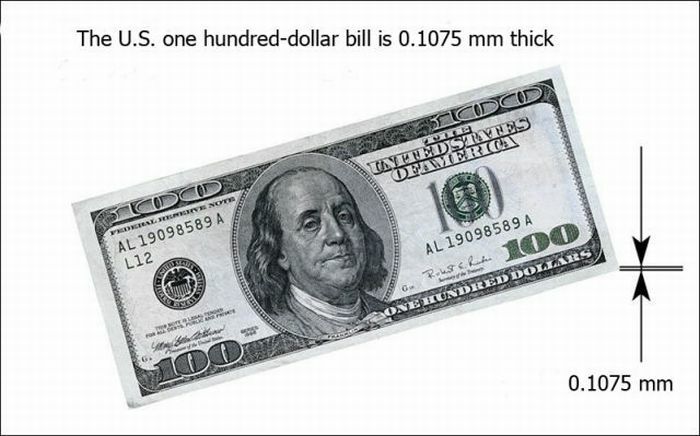 In reality this stack would be much higher unless all of the bills were freshly made for the purpose. So, when is it payback time and how? Imagine the interest on this!! !.